The Wyoming Geological Survey (WSGS) has posted new Web pages on Wyoming’s geothermal resources. The WSGS recognizes that the natural heated fluids found beneath the Earth’s surface can be used as a vital renewable energy resource for heating homes and providing electricity. The new Web pages include digital reports, maps, as well as geothermal uses and development potential in Wyoming. Presenter: Gene Suemnicht, CEO/Principal, EGS, Inc., Santa Rosa, California. Dürr Cyplan’s ORC technology (Organic Rankine Cycle) will increase the efficiency of a geothermal power plant in Indonesia. The pilot plant, used during a project of a German research institute in this Southeast Asian country, can increase the amount of electricity generated by up to 10%. Geothermal power plants in Indonesia use steam to drive turbines and generate electricity. High-pressure hot water from a reservoir in the earth’s interior rises to the top through a borehole and evaporates in the power plant upon decompression. The steam is fed into the turbine, which produces electricity by means of a generator. Any water that has not evaporated is reinjected into the earth’s interior while still hot. In future, the ORC system will be integrated into the cycle before the water is reinjected into the earth. It can generate additional electricity using the thermal energy of the hot water. Steam also drives a turbine in the ORC system. However, this steam is extracted from another medium, which is evaporated with the hot water. This medium has a far lower evaporation point than water. Canada has no commercial geothermal power plants, despite having abundant potential and, ironically, Canadian energy companies running geothermal power plants around the world. Canada’s west coast forms part of the Pacific Ring of Fire, a giant horseshoe of active volcanoes and earthquake zones stretching from New Zealand all the way around Alaska to the bottom of South America. The geology putting coastal cities at risk also makes the area great for developing geothermal resources. Ring of Fire countries New Zealand, Indonesia, the Philippines, the United States and Mexico all have commercial geothermal plants, but not Canada. A groundbreaking 2010 study of Canada’s geothermal potential found the best locations were in British Columbia, Alberta and Saskatchewan, but even Ontario could produce geothermal power if someone dug deep enough. 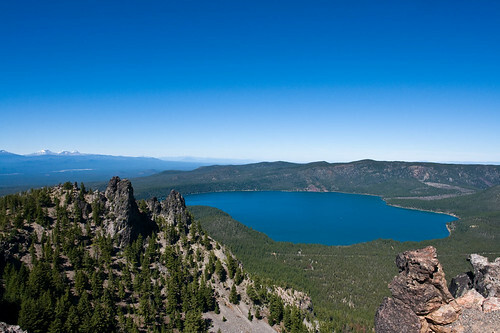 It's the latest push for home-grown energy production: the Deschutes National Forest has completed an Environmental Assessment for more potential geothermal drilling on 11 parcels totaling about 6,200 acres west of the Newberry National Volcanic Monument. A published notice this week began a 30-day comment period on the proposal to authorize the Bureau of Land Management to conduct geothermal lease sales. The initial BLM request to the Forest Service dates back six years, and eight seismic monitoring stations were installed in recent years. The comment period ends on March 26th and is intended to offer parties interested in or affected by the activity an opportunity to make their concerns known. All comments will become matter of public record. AltaRock Energy of Seattle has been testing enhanced geothermal systems (EGS) in the area, although exploration so far has found hot rocks but not enough water to bring that heat to the surface and create power. The course considers key practical issues such as prediction of pore pressure, estimation of hydrocarbon column heights and fault seal potential, determination of optimally stable well trajectories, casing set points and mud weights, changes in reservoir performance during depletion, and production-induced faulting and subsidence. The first part of the course establishes the basic principles involved in a way that allows readers from different disciplinary backgrounds to understand the key concepts. The course is intended for geoscientists and engineers in the petroleum and geothermal industries, and for research scientists interested in stress measurements and their application to problems of faulting and fluid flow in the crust. The Hawaii State Senate’s big geothermal bill was passed in the Ways and Means Committee on Thursday. The latest draft of Senate Bill 2663 contains a long list of permitting specifications and definitions. Ways and Means also passed another bill giving twenty per cent of royalties from geothermal resources on Hawaiian Home Lands to the Department of Hawaiian Home Lands, and twenty per cent to the county in which the geothermal resources are located. The effort to restore the Salton Sea gained momentum in the nation’s capital Thursday, as California lawmakers and the Obama administration touted renewable energy as an environmental and economic lifeline. Sen. Barbara Boxer and two Southern California House members, Reps. Raul Ruiz and Juan Vargas, urged the U.S. Interior Department to make it easier to set up renewable-energy projects such as geothermal plants as part of a broader restoration plan for the Salton Sea. In a letter to Interior Secretary Sally Jewell, the three Democratic lawmakers endorsed a plan by Kevin Kelley, general manager for the Imperial Irrigation District, to use revenue derived from renewable-energy projects at or near the sea to pay for environmental restoration of California’s largest lake and help struggling communities in the region. In another development Thursday, the U.S. Interior Department and the Salton Sea Authority took a small but significant step forward in creating a restoration plan palatable to all. They signed a Memorandum of Understanding that recognizes their “commonality of interests,” said Anne Castle, assistant Interior secretary for water and science. The memo will serve as the foundation for continued federal, state and local cooperation over restoration plans, Castle said at the first-ever Capitol Hill briefing about the Salton Sea, an event Boxer arranged. 12-14 March, at the Quechan Resort, Winterhaven, Imperial County, California, USA. Visit us at booth# 12. Mexico has delivered the first installment of a 239mn-peso (US$18mn) pledge to launch the operations of Michoacán's Center for Geothermal Energy Innovation (CeMIE-Geo). CeMIE-Geo was established for the development of 30 projects proposed by diverse institutions. They will work jointly with the Renewable Energies Institute of UNAM, the Center of Scientific Investigation and of Higher Education of Ensenada (CICESE) and other institutions that make up the CeMIE-Geo, including but not limited to Short training courses (3 weeks approx. 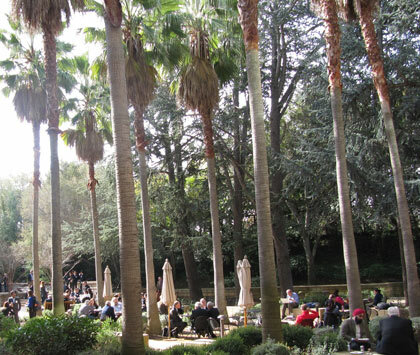 ), Diplomas in specific tasks such as exploration and reservoir engineering and Master's and doctoral programs. The University of Auckland and Tawau Green Energy Sdn Bhd (TGE) have inked a Memorandum of Understanding (MoU) on the development of Malaysia’s first geothermal energy industry in Tawau. During the signing ceremony which was held in Auckland, New Zealand recently, Managing Director of TGE, Ramzi Raad and Dr Andy Shenk of the University of Auckland agreed to facilitate the provision of the university’s expertise in geothermal training and research. The University of Auckland is one of the leaders for applied research and training in geothermal energy. The MoU was for the two parties to forge a collaboration for the Geothermal Resource Centre (GRC) being set up by TGE in Tawau as part of its development project and supported by the Federal and Sabah State Government. TGE is developing Malaysia’s first geothermal power plant at Apas Kiri, Tawau, which will deliver 30 MWe to the Sabah State Grid in May 2016. Drilling operations are expected to commence at the end of April 2014. HELCO was expected to award the geothermal contract last August or September. The attorney for Huena Power, one of the companies looking to develop a 50 MWe geothermal project on the Big Island, has requested a meeting with stakeholders, including Hawaii Electric Light Co. and the Hawaii Public Utilities Commission, to address the delay in the awarding of a contract for the project, which some say would cost up to $200 million. “It is further recommended that the proposed meeting occur within the next 15 days, in order that each and all of the deficiencies of the [request for proposals] itself, the RFP process, timing of the issuance of the RFP and the purported deficiencies in the several proposals to be identified and hopefully rectified, in order to ensure the benefits of geothermal be accurately represented in HELCO’s April [Power Supply Improvement Plan],” William Milks, counsel for Huena Power, said in a letter to the PUC this week. On Thursday the Asian Development Bank (ADB) announced it has signed a geothermal power supply agreement with Aboitiz Power Corp.’s retail electricity supplier, AdventEnergy Inc. Through the agreement, ADB will be purchasing electricity requirements from AdventEnergy instead of Meralco. However, the electricity to be supplied to ADB will still go through Meralco’s distribution network. By signing the contract, the ADB headquarters will be powered by 100-percent renewable energy generated by geothermal facilities in Tiwi, Albay and in Makiling-Banahaw in Laguna, in addition to existing on-site solar power-generation equipment. Under the supply contract with AdventEnergy, ADB said it will purchase an average of 1.5 million kilowatt-hours (kWh) a month. In an official signing ceremony last Thursday, Prime Minister Moana Carcasses witnessed an agreement by representatives of the Takara community and geothermal developer Geodynamics Limited to commence the Environmental and Social Impact Assessment for the proposed Takara Geothermal Power Project. Officer of the Utilities Regulatory Authority and Governor of the Reserve Bank. Under the agreement Geodynamics has been granted permission to commence preexploration drilling activities for its Takara Geothermal Power Project, a proposed 8 MW project to be developed over two 4 MW phases. Initial activities will include the completion of an independent Environmental and Social Impact Assessment (ESIA) planned to commence in March 2014. The progress of the Dutch greenhouse consortium ECW geothermal project in Wieringermeer, in the north Netherlands, are at an advanced stage. For this leading project, Hoogendoorn supplies the process automation and partner Van der Laan provides the installation. This is done in close cooperation with VB group, specialized in geothermal, who provides the above-ground geothermal installations. All stakeholders are working hard to complete the final preparation in order to deliver the first heat in March. This enables eight greenhouses, with a total of 300 hectares of cultivation area, to make use of geothermal energy and save at least 15 percent of gas. In early February, Richard Branson, founder of Virgin Records, Virgin Airways, and now Virgin Galactic, leveraged his star power to convene a three-day meeting of dignitaries from 13 Caribbean nations including the Virgin Island, St. Kitts & Nevis, Turks & Caicos and the Cayman Islands. While enjoying both Necker Island and Branson’s neighboring Moskito Island, they discussed the costs of powering their island homes and the economics of switching over to clean, green renewable energy. Working with The Carbon War Room (an anti-carbon group he co-founded) as well as the energy experts at the Rocky Mountain Institute, Branson is promoting something called the 10 Island Renewable Challenge. The idea is to get the island nations of the Caribbean to switch away from diesel. The argument is simple: going carbon-free won’t just help keep the air clean and reduce greenhouse gases in the atmosphere — it will save lots of money too. One of the best ideas for the very long term is for these islands to tap their enormous and endless domestic energy opportunity: geothermal. Most of the islands in the eastern Caribbean were formed by volcanic action. The volcano on Montserrat erupted violently in 1997, killing 19. Because they are located close to the boundaries of two tectonic plates, the islands have plenty of natural volcanic heat that they could tap at relatively shallow depths. Already Iceland Drilling Company, based in the world’s capital of geothermal energy, is reportedly working on exploratory geothermal projects in Dominica and Montserrat. Projects are also being drawn up for Nevis and St. Vincent. In time each of these islands could be powered by steam turbines running on virtually endless supplies of cheap energy harnessed from the Earth’s own internal furnace. Ormat Technologies, Inc. today announced financial results for the fourth quarter and full year ended December 31, 2013. Alterra Power Corp. has announced that its 66.6% owned Icelandic subsidiary, HS Orka hf, today released audited financial and operating results for the twelve month period ended December 31, 2013. Electricity production from the Reykjanes and Svartsengi geothermal power plants increased by 7% to 1,280,394 MWh (2012: 1,193,584 MWh); the additional generation was used to meet new sales contracts entered into in late 2012 and early 2013. HS Orka generated $21.3 million of EBITDA and $14.1 million of gross profit in 2013 (down 11% and 27% respectively from 2012), reflecting increased maintenance at the power plants in the year as a result of planned cleaning and repair of two boreholes in the period, in addition to increased transmission expenses resulting from an increase in transmission rates of 20% during the period. HS Orka commenced a fluid reinjection program at the Reykjanes field by drilling a new large diameter well to enhance future field stability, whereby a portion of geothermal fluids extracted from current operations will be reinjected into the field to maintain or increase subsurface pressure and optimize the resulting electrical output. Geodynamics Limited reports that the Takara Community and Geodynamics have signed an agreement enabling the first stages of the exploration phase of the Takara Geothermal Power Project to commence. The company would commence an independent Environmental and Social Impact Assessment (ESIA), community mapping and land valuation works. The Takara Geothermal Power Project was acquired by Geodynamics following the take-over of KUTh Energy Limited in December 2013. KUTh Energy Vanuatu, a wholly owned subsidiary of Geodynamics, holds a 30 year Production Licence with exclusive rights to develop geothermal energy from an identified prospective geothermal area located on the north of the main island of Efate. The Project has potential to supply cheaper and more reliable power to the expanding Efate network than current diesel generation. The resource at Takara has been investigated using surface based geoscientific methods, including geology, geochemistry and geophysics. The development is planned to be progressed in two stages of 4 MWe for 8 MWe in total. Exploration drilling to confirm the resource is targeted for mid 2014, with production drilling and plant construction set for 2015, given successful exploration results this year. Italy's Enel Green Power, one of the world's biggest renewable energy groups, is looking to East Africa to drive its expansion plans in the continent over the next few years, its chief executive said on Monday. "Mozambique, Tanzania, Kenya and Uganda will be a priority and we plan to develop wind, solar and geothermal," Francesco Starace told Reuters on the sidelines of a conference. Enel Green Power, present in 16 countries, has been slowly shifting investment away from core markets Italy and Spain that in 2012 accounted for 61 percent of installed capacity and 68 percent of core earnings, to faster growing emerging economies. Around half of New Zealand's geothermal energy use occurs in the Bay of Plenty, but there's scope for much more, including by Tauranga businesses. That was the message from a recent Energy Efficiency and Conservation Authority (EECA) workshop on direct use of geothermal energy for commercial use. "Access to geothermal energy resources provides a real comparative advantage for the Bay of Plenty and Waikato regions," said Shaun Bowler, EECA renewable heat programme manager. The Bay of Plenty was already dominant when it came to geothermal energy, with around half of the country's 300 geothermal applications located in the region, said Mr Bowler. Geothermal heat was available throughout the central North Island area and there was scope to develop a lot more of it, he said. Direct use was the use of geothermal heat energy in applications other than the generation of electricity. Smart Company interviewed KenGen’s managing director and GRC member Albert Mugo at Olkaria. Tell us about the new 30 MWe new well. This is the largest to be tested in our exploration history. It has a production capacity of 30 MW and is bigger than the previous one whose output was 18 MW. It is also one of the largest in the world. By getting 30 MW from one well, it will help us accelerate plans towards the 5,000 MW plan by the government to add new capacity for more affordable energy. The well can supply twice the electricity needs of Naivasha or half the demand of Nakuru town. When are we likely to attain 280 MW? The project has four units which are staggered until August. The first unit of 70 MW will be unveiled in March. The second unit will come in May, while the third in June. We expect to run full reliability tests and commission the entire 280 MW by September 2014. This will help meet Kenya’s growing demand for electricity through geothermal sources which is less costly. A team of experts from Japan is in Kenya to hold discussions and provide technical advice to the Geothermal Development Company (GDC). The team that arrived in the country on February 23 is expected to also visit the Menengai Geothermal Project sites as part of the first activities for the Project for Capacity Strengthening for Geothermal Development in Kenya. The project launched in September 2013 is projected at Sh1.6 billion, will train GDC on drilling techniques, reservoir evaluation, and project management among other aspects that will contribute to GDC’s accelerated geothermal development in Menengai, Suswa, etc. Fitch Ratings has affirmed OrCal Geothermal LLC's (OrCal) $165 million senior notes ($63 million outstanding) due in 2020 at 'BB'. The Rating Outlook is revised to Stable from Negative as a new Power Purchase Agreement (PPA) stabilizes long-term revenue. OrCal signed a new PPA with Southern California Public Power Authority (SCPPA). As a result, all of OrCal's capacity is now under contract through debt maturity, significantly reducing revenue risk. Nevertheless, there remains some price volatility, as one-third of total capacity is exposed to Short Run Avoided Cost (SRAC) energy prices (tied to natural gas pricing) through debt maturity. 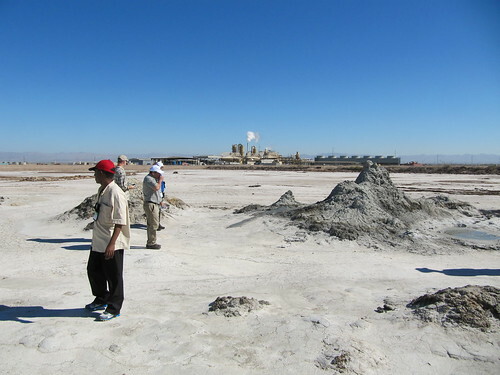 There’s a lot to see at Simbol Materials’ demonstration plant near the southern shore of the Salton Sea, where the company is testing out what could be an industry-changing technology for extracting lithium from geothermal brine. Simbol Materials' David Edwards describes manufacturing process during a visit to the company's Calipatria facility (Courtesy The Desert Sun). Drilling for a second geothermal production well in the Olene Gap area near Klamath Falls is expected to begin next month. Klamath-Basin-Geopower--Well-O-P2B Sump Installation from Klamath Basin Geopower on Vimeo. Bill Honjas, president and CEO of Klamath Basin Geopower, the company developing a network of commercial geothermal production wells, said construction of the pad and site are complete, and drilling should begin in March. Drilling will take about two or three months. The previous well, near Crystal Springs Road in the Olene Gap area, reached hot water with temperatures capable of generating electrical power commercially at a depth of about 6,000 feet. 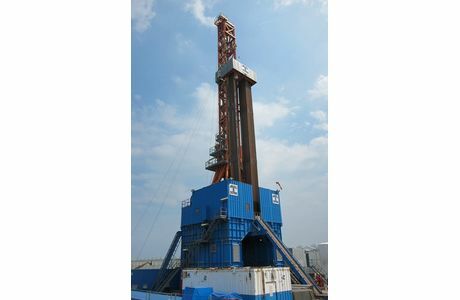 Honjas said independent testing of the well indicates both water flow and temperatures necessary for commercially generated electricity were confirmed. The report from the well concludes fluid temperatures in the production zone are from 250 to 320 degrees Fahrenheit. (John L. Featherstone) geothermal power plant in the background. EnergySource has halted development of its Hudson Ranch II geothermal energy project near Niland. The plant was approved for 49.9 MWe. But, when developers drilled a couple of production wells, they discovered that their output would fall short of what they anticipated. “We drilled a couple of sub-commercial wells,” said Vince Signorotti, vice president of resource and real estate assets. Production wells at the adjacent Hudson Ranch I can produce roughly double their requirements, according to Signorotti. “Maybe we got a bit spoiled. We thought all wells would come in at that size,” he said. Aquaculture farms in Mindoro will be able to grow tons of triple high-quality tilapia, sea bass and shrimps per year, in a nutrient-rich, controlled temperature using water from geothermal power plants. This is the claim of Emerging Power Inc (EPI), the Filipino developer of renewable-energy resources. Antonie de Wilde, chief technical adviser was quoted in a statement on Sunday, as saying EPI is planning to enter into joint ventures with fishermen in Mindoro. 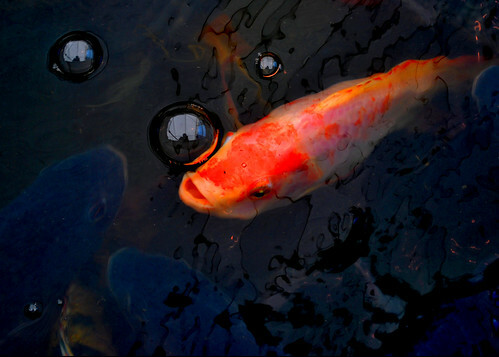 Under this plan, the local enterprises will tap the steam and fluids of EPIs Montelago Geothermal Power Plant in Naujan, Oriental Mindoro, to produce the fish, which will be sold to top resorts and hotels in the Philippines and exported to China and Japan. Renewable-energy developer Emerging Power Inc. (EPI) and Occidental Mindoro Electric Cooperative Inc. (Omeco) are set to sign a power-supply contract this Friday. EPI will become the sole supplier of geothermal energy for the entire island of Mindoro after it recently agreed with Oriental Mindoro Electric Cooperative Inc. (Ormeco) on a similar deal. EPI is expected to sign the power- supply agreement (PSA) with Omeco on February 28, said its spokesman Gani Capaning. Under the agreement, EPI will provide 20 MWe to Omeco to be sourced from its $180-million Montelago geothermal power facility in Oriental Mindoro. EPI also supplies 20 MW to Ormeco. U.S. Geothermal Inc. of Boise, Idaho, announced yesterday that it has finalized the strategic and financial partnership with a subsidiary of Enbridge Inc. The Neal Hot Springs Geothermal Plant, located near Vale, Oregon, was developed and is being operated by USG Oregon LLC, a subsidiary of U.S. Geothermal. Enbridge, acquired an equity position in the project, which achieved Final Completion on August 1, 2013. The Enbridge equity investment, along with a loan guarantee from the U.S. Department of Energy, funded the remaining construction costs. Total investment in the development and construction of the project by U.S. Geothermal was USD $14 million. Following the receipt of the previously announced Section 1603 Federal Investment Tax Credit (ITC) cash grant payment, and the Oregon Business Energy Tax Credit funds, and after the receipt and disbursement of all remaining construction reserve funds, which was finalized on January 27, 2014, the final ownership interest in the Neal Hot Springs project was calculated in accordance with the terms of the partnership agreement. Ownership interest in the project is final with 60% for U.S. Geothermal and 40% for Enbridge. As a result of the final agreement, U.S. Geothermal has received a USD $6.2 million cash distribution from the partnership. In support of President Obama's all-of-the-above energy strategy, the U.S. Energy Department today announced $10 million dollars to improve subsurface characterization for enhanced geothermal systems (EGS) by developing state-of-the-art methods to quantify critical reservoir properties. New methods to interrogate attributes of engineered reservoirs will speed the deployment of this next-generation geothermal technology and position geothermal energy as a core component in the U.S. clean energy mix. To generate renewable power around the clock, EGS projects produce energy from intensely hot rocks buried thousands of feet below the surface. EGS systems initially lack the permeability or fluid saturation found in naturally occurring geothermal systems. The U.S. Geological Survey has estimated this vast, untapped thermal resource is between 100 and 500 gigawatts, enough to continuously power millions of American homes. This funding opportunity will support up to ten, three-year, collaborative research and development projects focused on applying innovative technologies to obtain and process high-precision data to better characterize and target potential EGS sites. EGS research advances the Department's goal of proving next-generation clean energy technologies by driving down the costs of commercial-scale EGS projects to eventually produce cost-competitive, renewable electricity for American homes and businesses. Read the full FOA on exchange at register today for an informative webinar. The U.S. Energy Department announced last Friday its intent to issue a funding opportunity to establish a dedicated subsurface laboratory called the Frontier Observatory for Research in Geothermal Energy (FORGE). This first-of-its-kind effort will promote transformative and high-risk/high-reward science and engineering focused on addressing critical barriers to Enhanced Geothermal Systems (EGS). FORGE will enable testing of new technologies and techniques, with a central focus on EGS optimization and validation. In addition, the new initiative will include a robust instrumentation, data collection, and data dissemination effort to capture and share in real-time a higher-fidelity picture of EGS creation and evolution processes than any prior geothermal demonstration in the world. It will also provide a collaborative and inclusive platform for advancement of EGS via participation from geothermal and other subsurface stakeholders. Finally, FORGE will allow for the highly-integrated comparison of technologies and tools in a controlled and well-characterized environment. Critical knowledge obtained at FORGE will inform the development of a methodology for reproducing large-scale, economically-sustainable heat exchange systems. The full text of this Notice of Intent is available on EERE Exchange. 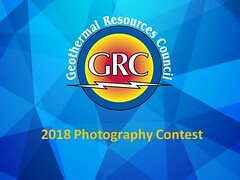 The U.S. Department Energy’s Geothermal Technologies Program and Oak Ridge Institute for Science Education are pleased to announce the 2014 Geothermal Student Competition. Competition: the University of Rochester, New York. Sabbeth and team leader David Brink-Roby. Kidus Alemayehu is not pictured. The Challenge: This year’s Competition focuses on a non-technical barrier to geothermal development: public communications. Students are asked to develop a cutting-edge geothermal communications tool that integrates accurate, technical information with a graphical visualization info graphic. Students will also create an outreach plan to disseminate the infographic to local middle and high schools. Who Should Apply? Teams may consist of undergraduates and/or graduate students. High school seniors are encouraged to apply. Semi-Finalist Awards: The five most compelling and competitive applications will receive a total award of $2,500, where $2,000 is expected to be used as project development funds (stipend) and $500 is to develop an outreach presentation for middle and high school students. September 28-October 1: GRC Annual Meeting: Five finalists attend the GRC Annual Meeting in Portland and winners are announced. Additionally, GRC attendees will have the opportunity to vote for a “People’s Choice Award,” the winner of which will be announced at the GRC Annual Meeting’s conclusion. The new plan includes an online interactive map tailored to maximize the renewable resource potential of each of the 50 states. Hovering a cursor over California, for example, reveals that the Golden State can meet virtually all of its power demands (transportation, electricity, heating, etc.) in 2050 by switching to a clean technology portfolio that is 55 percent solar, 35 percent wind (on- and offshore), 5 percent geothermal and 4 percent hydroelectric. A nationally renowned science group concludes that there is a bright future for Enhanced Geothermal System (EGS) development if the technology overcomes some initial hurdles. At the Stanford Geothermal Workshop this morning, representatives from the elite JASON group presented a Review of Enhanced Geothermal Systems (PDF). The report concludes that near-term (perhaps 5-10 year) geothermal potential, including from sites developed through enhanced geothermal systems, can contribute an additional 5-10 GWe for the U.S., with a larger potential once this success is achieved. However, there are uncertainties with the new technology including the cost of drilling, the nature of the subsurface flow network, the thermal drawdown reducing both thermal power and Carnot efficiency of EGS over time, water availability and of course the issue of induced seismicity associated directly with geothermal operations. The prestigious three day workshop opened this morning at the Frances C. Arrillaga Alumni Center on the Stanford University Campus. After an introduction by host Roland Horne and chair Kewen Li, Jay Nathwani, filling in for Douglas Hollett, GTO program manager, gave a talk on the DoE Geothermal Technology Program Overview for 2014. Next came an interesting presentation of the recent "JASON Review of Enhanced Geothermal Systems" (PDF) which concludes that near-term (perhaps 5-10 year) geothermal potential, including from sites developed through enhanced geothermal systems, can contribute an additional 5-10 GWe for the U.S., with a larger potential once this success is achieved. According to the latest Energy Infrastructure Update report from the U.S. Federal Energy Regulatory Commission's Office of Energy Projects, non-hydro renewable energy sources (i.e., biomass, geothermal, solar, wind) accounted for more than 99% of all new domestic electrical generating capacity installed during January 2014 for a total of 324 MW. Geothermal energy provided 9% of the new capacity. Renewable energy sources, including hydropower, now account for 16.03% of total installed U.S. operating generating capacity: water - 8.44%, wind - 5.20%, biomass - 1.36%, solar - 0.70%, and geothermal steam - 0.33%. This is more than nuclear (9.26%) and oil (4.04%) combined. Top Energy, the utility covering the northern most part of New Zealand’s North Island, is planning to expand its 25 MWe Ngawha geothermal plant in a move it says could attract businesses and create around 200 new jobs in the Kaikohe area. It could produce an additional 100 MWe, enough electricity to power every household in the Far North and to export power south to the rest of Northland. Top Energy plans to lodge a resource consent application in 2015 for additional Ormat binary power stations, very similar to the units currently at Ngawha. These could start generating electricity from as early as 2020 timing well with a forecasted increase in national demand for electricity. On a hot and dusty day in early February, a team of Icelandic scientists, American aid workers and global investors hiked across the rocky terrain of Corbetti, a village in southern Ethiopia. They were visiting the site of a massive geothermal project -- one that will be among the world's largest if all goes according to plan. Trailing the group were dozens of boys and young men, mostly students and farmers from the community. Several of them wore shirts bearing the name “Obama” in big block letters. They weren't marking any occasion -- that same shirt can be spotted in rural areas all across the country, on men and women of all ages, in myriad colors -- but on that day, their attire was particularly appropriate. The geothermal project getting started in Corbetti benefits from Power Africa, a White House initiative calling for more than $7 billion in support for energy initiatives across the continent during the next five years. HB 2639 (introduced by Rep. Cindy Evans) is considered favorable to development. At the time the committee heard the measure – Feb. 13 – HB 2639 clarified permitting procedures for regulators, required the use of an area within a conservation district to be governed by the land board, and authorized certain county authorities to issue geothermal resource permits. It also reserved all minerals in, on, or under reserved lands to the State. It has since been amended. On the other hand, HB 1766 (introduced by Rep. Faye Hanohano) – backed by geothermal opponents – would have restored the geothermal resource subzones that were repealed in Act 97, and established a permitting process for geothermal resources development. In the end, the first measure passed, with amendments. HB2639 now advances to the Finance Committee. The second bill was deferred. Now in its eighth year, Oregon's leading clean energy conference connects policy with practice and addresses the industry’s current challenges and opportunities. The Oregon Future Energy Conference has become the state’s “must-attend” clean energy event. Presented by Northwest Environmental Business Council (NEBC), this unique conference provides an unmatched forum for learning, networking, and business development – bringing together those engaged or interested in the new energy economy. Elham Ibrahim said five grants have already been awarded under the Geothermal Risk Mitigation Facility (GRMF) for East Africa, which encourages public and private sector support for geothermal development. Ibrahim was speaking during this month’s ministerial session of the second high level meeting of the Africa-EU Energy Partnership (AEEP) in Addis Ababa. GRMF grants amounting to $22 million have already been awarded to five projects in Kenya and Ethiopia, Ibrahim said. However, she gave no details about the agreements to be signed in March. The 112.5 MWe Tongonan geothermal power plant in Leyte is now fully restored following the return to service of the remaining unit of the plant that was damaged by typhoon Yolanda/Haiyan on Nov. 8 last year, EDC said in a disclosure yesterday. "Further to our December 19 disclosure covering the Tongonan Plant’s return to service, i.e., “…beginning with first unit today [December 19], followed by the last two units up to the first quarter of 2014…”, we inform the Exchange that we have now energized the last remaining unit of our Tongonan Power Plant. All units, however, remain subject to close monitoring and/or additional tests." The U.S. Geothermal Energy Association (GEA), has released a report on a status report on the Golden State's geothermal resources that says they are still largely untapped. The report concludes that California contains several thousand megawatts of geothermal resources that could provide renewable, firm, and possibly flexible power to the state’s power grid. Estimates predict only about half of the state’s identified geothermal resources are generating power today. These geothermal resources will be crucial for meeting California’s climate and environmental goals. Not only do geothermal plants have one of the smallest land footprints of almost any other energy technology, but geothermal generation releases very little greenhouse gas emissions. California’s grid will need a firm and flexible power source in order to reach its climate goals. The lowest-cost electricity to consumers is a power system composed of a diverse portfolio of renewable energy resources that includes geothermal generation. However, before geothermal development can be expanded in California, help is needed to construct new transmission that will allow geothermal project developers to interconnect to the statewide system. More specifically, new transmission at the Salton Sea would significantly expand the geothermal resources available for development. Geodynamics Limited and joint venture partner Kentor Energy Pty Ltd, have announced that the Environmental and Social Impact Assessment (ESIA) for the Savo Island Geothermal Power Project has been completed. The ESIA has been submitted to the Solomon Islands Department of Environment, and will be placed on public display for consultation and comment in early March. The report highlights significant social and economic benefits for the Solomon Islands, the city of Honiara and the local community on Savo Island, through reduced reliance on imported diesel fuel, increased reliability of power supply, reduced end user prices and employment opportunities. HS Orka geothermal energy plant at Grindavik, Iceland. Iceland and Japan, two nations rich with underground sources of renewable energy, can tackle climate change together by promoting the use of geothermal power, Iceland’s environment minister said. “We can cooperate both in Japan and Iceland,” Sigurdur Ingi Johannsson said in an interview in Tokyo. “It is the know-how we have for how to utilize geothermal in many ways” such as power generation, heating, and fish farming, he said. By combining expertise, the two countries would be able to provide help to other nations such as Djibouti and Kenya in East Africa and other developing countries, he said. The Philippines Court of Tax Appeals (CTA) has ruled that local government units (LGUs) cannot impose local franchise taxes on operators of geothermal power plants unless such operators are shown to have been granted a “franchise” to exploit geothermal resources as defined in pertinent laws. The CTA said the operation of geothermal power plants is not necessarily a “franchise” for which a franchise tax can be imposed by a LGU. In the case of CE Cebu Geothermal Power Co. Inc. and Visayas Geothermal Power Co. (VGPC) Province of Leyte promulgated last January 24, the CTA ruled that such geothermal power plant operators must be shown to be generating power under a franchise to exploit geothermal resources before they can be imposed local franchise taxes by the province of Leyte. More Energy Development Corp. (EDC) geothermal power plants damaged by super-typhoon Yolanda/Haiyan in November last year are now back online, the Lopez-led firm said in a disclosure yesterday. This workshop is a how-to guide on geothermal energy use for heat supply. It will inform landowners on how to access the low temperature heat from geothermal resources under their land and assist business owners requiring heat to develop an understanding of how they can utilize geothermal’s potential. The program is structured to take you on a journey from what is possible and what you need to do to get there. It is very practical and focused on actual applications and examples. It is an essential event for any landowner or business owner who is interested in using geothermal heat for commercial applications. 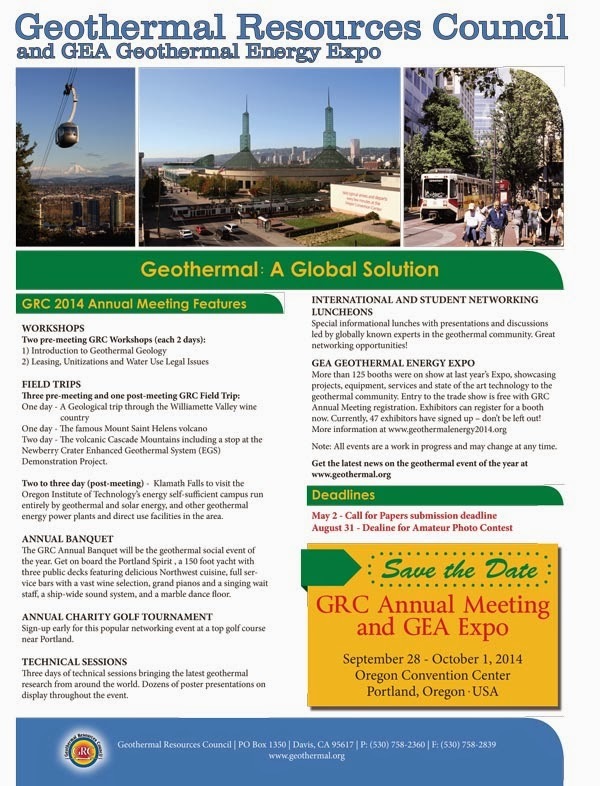 International keynote speaker Dr John Lund, an internationally acclaimed geothermal expert from Klamath Falls in Oregon, USA, – a sister city of Rotorua, will lead the workshop. 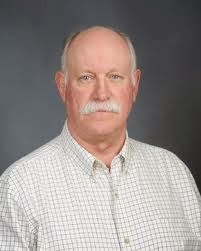 Long-time GRC member, John Lund has 35 years’ experience in direct utilization of geothermal energy. He is the recipient of many prestigious accolades for his achievements, has authored several hundred papers and participated in workshops, seminars, conferences and training sessions in 35 countries. For more information view the full program and Workshop Brochure. If you have any queries about the workshop please contact brian.cox@eastharbour.co.nz or MarkSmith@growrotorua.com. To register complete the workshop Registration Form and email to admin@eastharbour.co.nz. Payment is required in order for your registration to be secured. Your booking will be confirmed when payment is cleared.